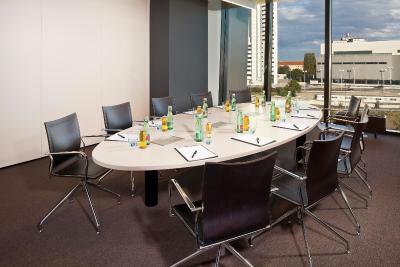 Lock in a great price for Melia Vienna – rated 8.4 by recent guests! Everything at this hotel was perfect. 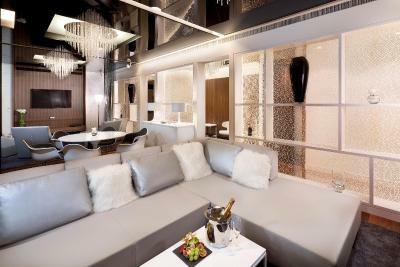 Upgrade to the Level Lounge is a must! The room was large and lovely. The views were great. The bed was comfy. The location, while a little out of the way, wasn’t bad, as the train station was a four minute walk away and a train to the heart of town takes ten minutes. 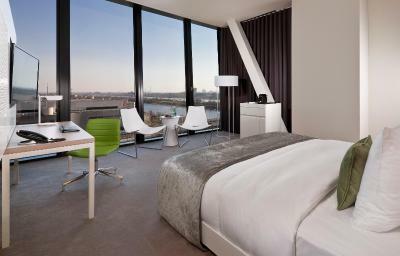 The hotel is very modern ,nice and I love it so much the view to the river it’s really amazing bed is comfortable. The total ambiance in the room was quite inviting and absolutely cozy. 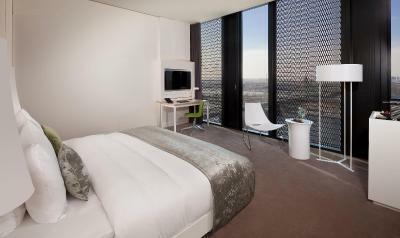 Spacious rooms with floor to ceiling windows overlooking the area. Restful nights sleep. Couple of minutes walk to Metro for easy access to downtown area and to all sightseeing locations including the Palace. Highly recommended. The room was quite comfortable. The pillows were like clouds. The bathroom was nicely appointed with a separate shower and tub. The tub was long enough to totally stretch out in...which is usually rare. 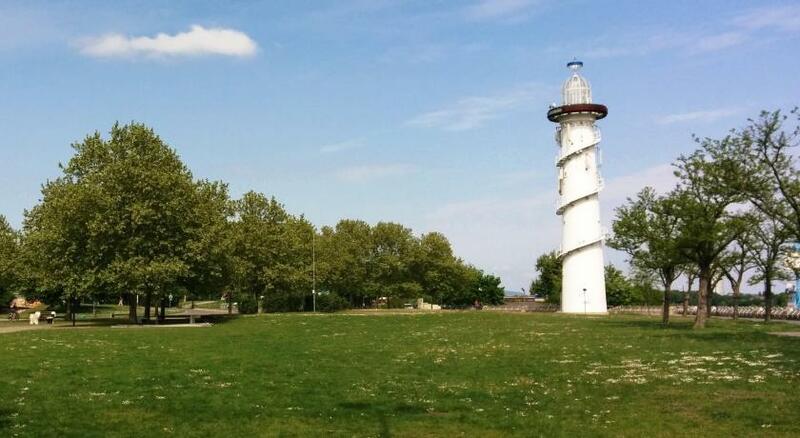 The location is near a metro station so that's convenient. 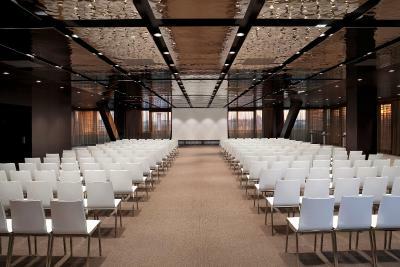 Melia Vienna This rating is a reflection of how the property compares to the industry standard when it comes to price, facilities and services available. It's based on a self-evaluation by the property. Use this rating to help choose your stay! 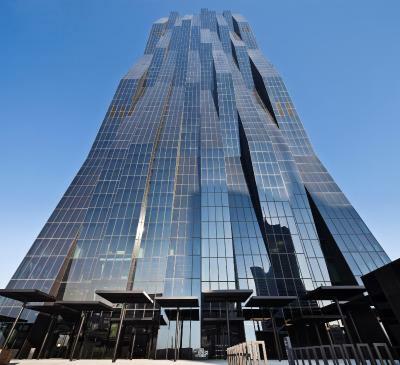 One of our top picks in Vienna.Located in Austria’s highest skyscraper, the DC Tower, the Melia Vienna features luxurious and modern rooms as well as a rooftop terrace with a cocktail bar offering stunning views of the Danube River and the city of Vienna. Free WiFi is provided in the entire property. 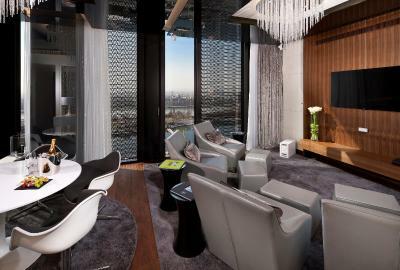 Each room and suite is fitted with floor-to-ceiling windows, a modern interior decoration and cutting-edge technology. 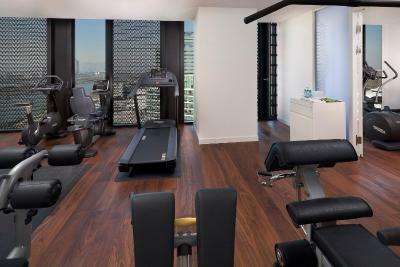 Amenities such as a Nespresso coffee machine (with 2 free capsules per day), a flat-screen TV and a safety deposit box are standard in all rooms. Mediterranean as well as local cuisine can be enjoyed at the 57th Restaurant, while local cuisine and cocktails can be enjoyed at the Flow Restaurant and the Flow Bar. 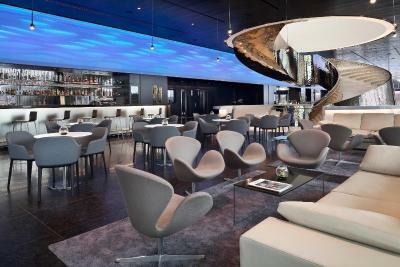 The 57th Lounge Cocktail Bar is open from 18:00 until 01:00 from Monday to Sunday. Every Friday and Saturday, a DJ is available from 21:00 for entertainment. 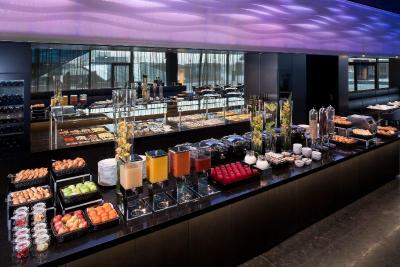 A rich breakfast buffet is served every morning. The Kaisermühlen-VIC Underground Station (line U1) is right in front of the building and provides direct connections to St. Stephen’s Cathedral and the city center within 6 minutes. The airport bus stops nearby as well. 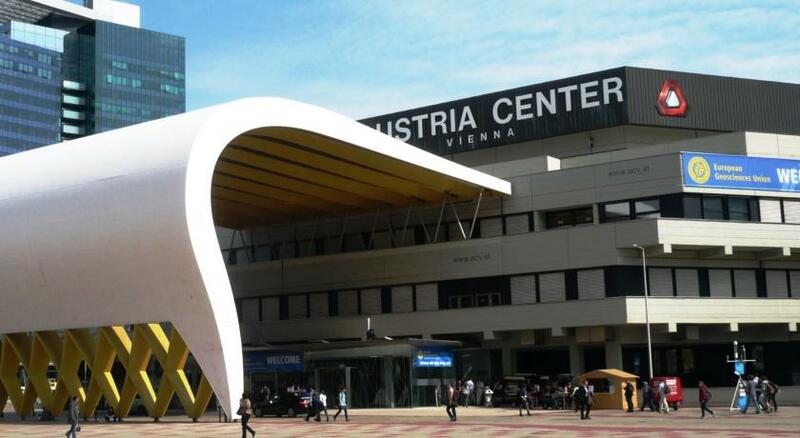 The Vienna International Center and the Austria Center Vienna, an exhibition and conference center, are both within 1,300 feet from the Melia Vienna. 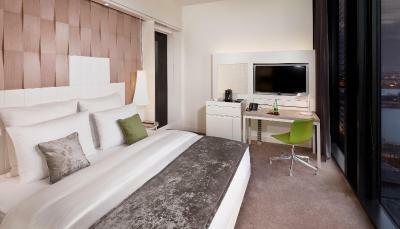 When would you like to stay at Melia Vienna? 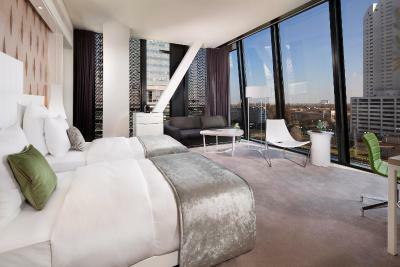 Fitted with floor-to-ceiling windows and cutting-edge technology, these modern double rooms feature amenities such as a flat-screen TV, a safe, a mini-bar (surcharge), and a Nespresso coffee machine (with 2 free capsules per day). 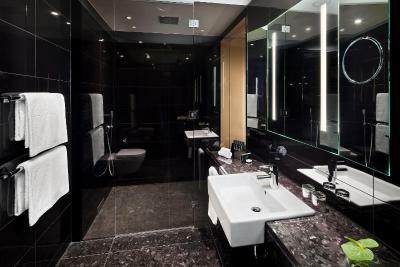 The bathroom comes with a rain shower, a hairdryer and free toiletries. 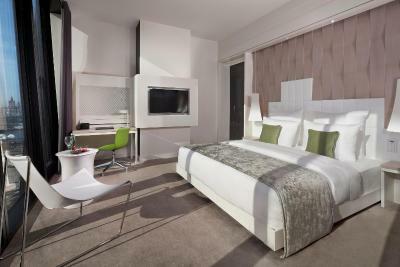 Fitted with floor-to-ceiling windows and cutting-edge technology, these spacious and modern double rooms feature a seating area and amenities such as a flat-screen TV, a safe, a mini-bar (surcharge), and a Nespresso coffee machine (with 2 free capsules per day). The bathroom comes with a rain shower, a hairdryer and free toiletries, and most of the bathrooms furthermore have a bath tub. Fitted with floor-to-ceiling windows, cutting-edge technology and offering access to the Executive Lounge, these spacious and modern rooms feature a double bed, a sofa bed and amenities such a flat-screen TV, a safe, a mini-bar (surcharge), and a Nespresso coffee machine (with 2 free capsules per day). The bathroom comes with a rain shower and a bath tub. 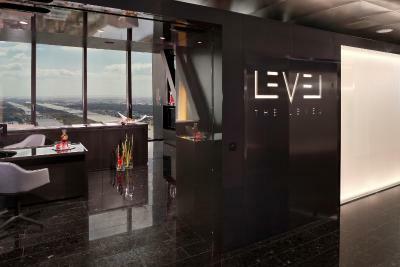 The Level Premium Rooms offer exclusive access to the Executive Lounge located on the 57th Floor, including breakfast and snacks throughout the day. A Nespresso coffee machine (2 capsules per day) and WiFi access are also included. 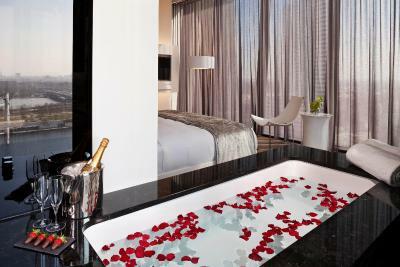 The Level Premium Rooms come with a living area featuring a sofa, and a bathroom equipped with a rain shower, a bath and premium Loewe toiletries. They are fitted with floor-to-ceiling windows and cutting-edge technology, superior quality beds and linen, a mini-bar (surcharge), individual temperature control, a safe, and an IP interactive flat-screen TV. 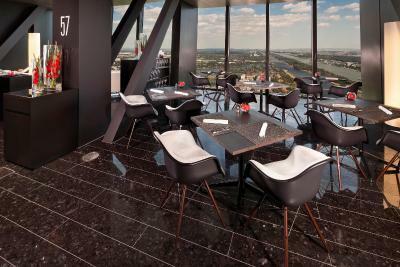 Offering stunning views of the Danube River and the city of Vienna, these luxurious and spacious suites offer exclusive access to the Executive Lounge located on the 57th Floor, including breakfast and snacks throughout the day. A Nespresso coffee machine (2 capsules per day) and WiFi access are also included. The suites come with a sleeping room, a separate living room with a dining table, and a bathroom with a bath and rain shower. 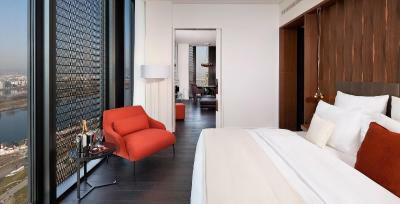 Each suite features floor-to-ceiling windows and cutting-edge technology, superior quality beds and linen, premium Loewe toiletries, a mini-bar (surcharge), individual temperature control, 2 IP interactive flat-screen TV, and a safe. 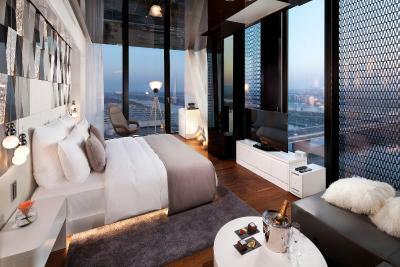 Spread over 702 ft², this suite offers stunning views of the Danube River and the city of Vienna. It consists of a bedroom, a stylish lounge, a cinema area, a mini-bar (surcharge), a separate dining room and a bathroom with an infinity bath tub, a sauna and a rain shower. 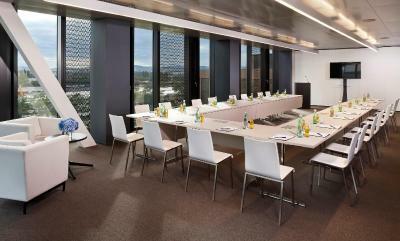 The suite also offers access to a boardroom for 10 people and a kitchenette with an external entrance. 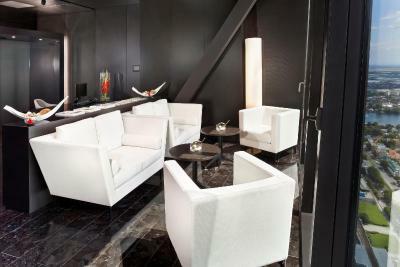 Further amenities include 3 flat-screen TVs, a safe, and a Nespresso coffee machine (with 2 free capsules per day). The Comfort Double Room can be connected to the suite. For bookings for 4 people a fully equipped second room with connecting doors to the suite is provided. 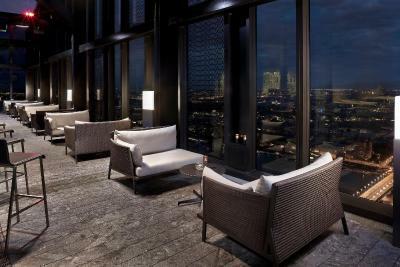 These luxurious rooms offer exclusive access to the Executive Lounge located on the 57th Floor, including breakfast and snacks throughout the day. A Nespresso coffee machine (2 capsules per day) and WiFi access are also included. 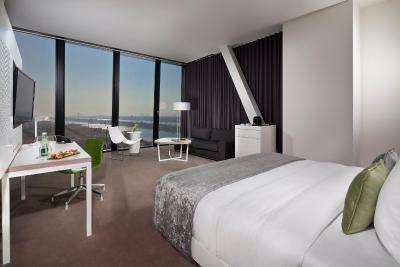 The rooms provide a bath with panoramic 180-degree views of Vienna and the Danube River. Upon arrival, a bottle of sparkling wine and chocolate-covered strawberries are provided. 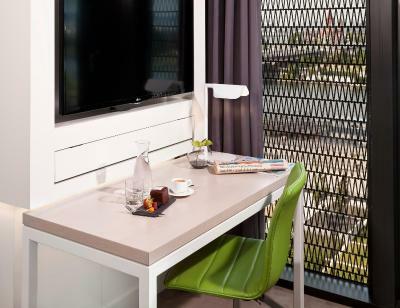 Each room is fitted with floor-to-ceiling windows and cutting-edge technology, a seating area, a flat-screen satellite TV, a mini-bar (surcharge), a safe, and high-quality bed linen. The bathroom has a rain shower head, a hairdryer, and free toiletries. 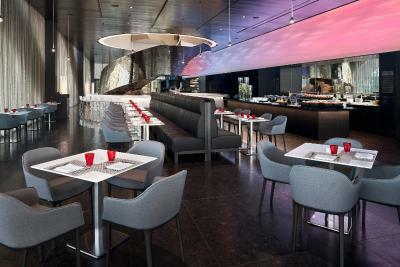 These spacious rooms offer exterior view and exclusive access to the Executive Lounge located on the 57th Floor with amazing views of Vienna and the Danube River, including breakfast and snacks throughout the day. A Nespresso coffee machine (2 capsules per day) and WiFi access are also included. Each room is fitted with a floor-to-ceiling window and amenities such as superior quality beds and linen, a flat-screen satellite TV, a mini-bar (surcharge), a safe, and individual temperature control. 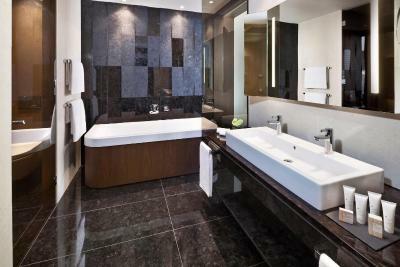 The luxurious bathrooms include a rain shower, a bath, and premium Loewe toiletries. This triple room has a satellite TV, soundproofing and air conditioning. 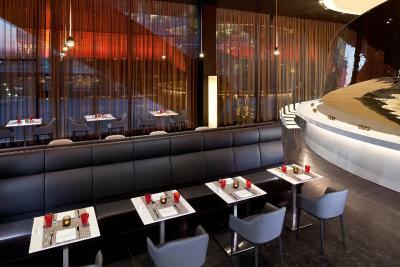 Welcome to the first Meliá Hotel in Austria, we promise you a truly unique experience! 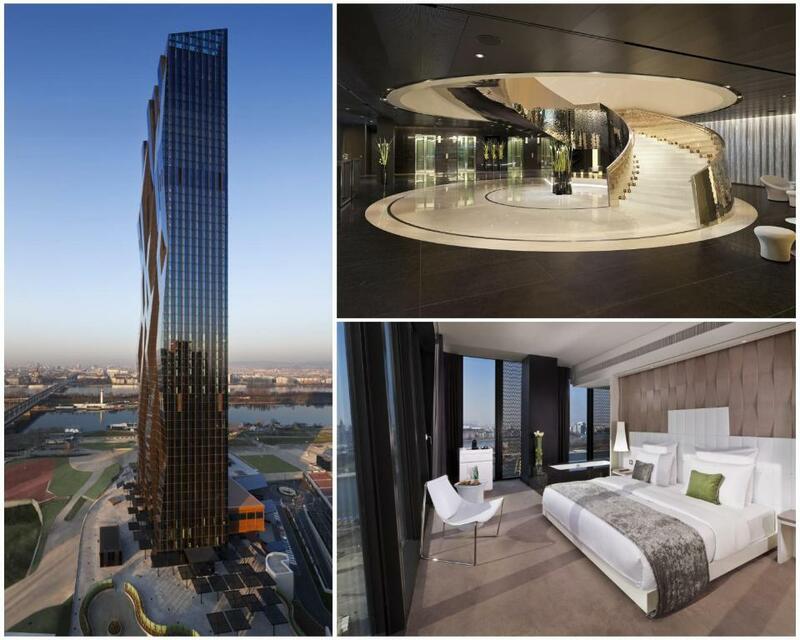 Truly unique due to our unrivaled location in Austria’s tallest building –the DC Tower 1 – designed by star architect Dominique Perrault. 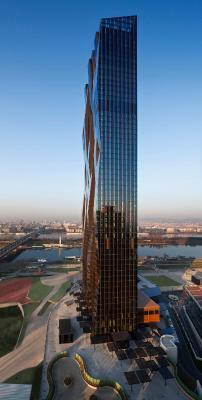 With a height of 250m and 58 floors it is also Austria’s first classified “Green Building”. 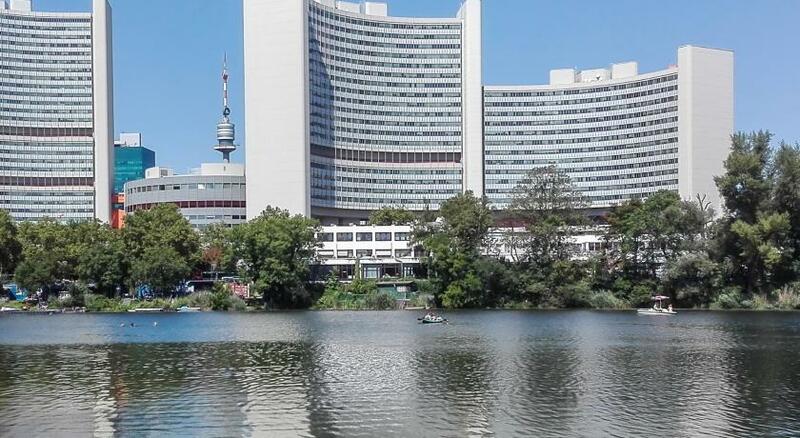 Our close proximity to the United Nations Office as well as the Danube Island and Vienna´s city center make our location exceptional. 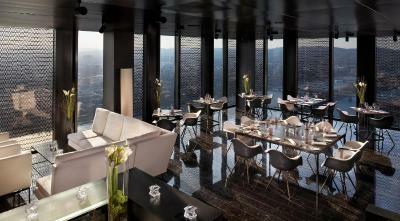 Enjoy the magnificent views of the Danube and the bustling city. 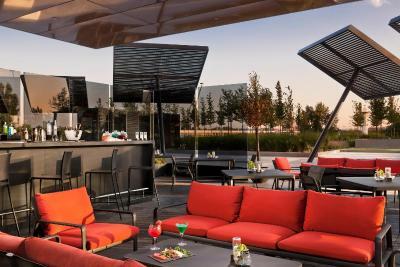 You will find the “Danube” theme across the hotel, from the outstanding exterior – resembling a waterfall – to many other design details in all different areas of the hotel. 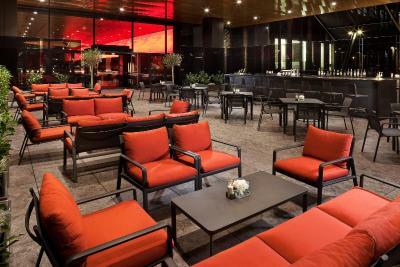 Enjoy your stay at the Meliá Vienna. 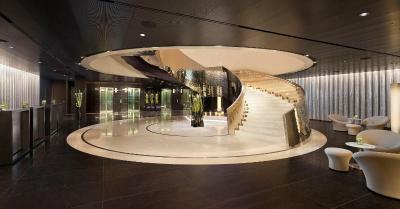 House Rules Melia Vienna takes special requests – add in the next step! 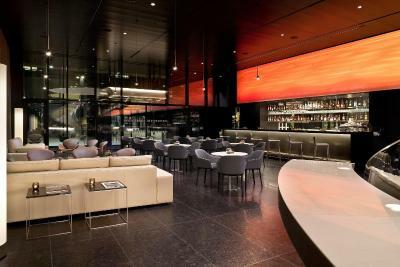 Melia Vienna accepts these cards and reserves the right to temporarily hold an amount prior to arrival. Breakfast is served daily at the Flow Restaurant. Lunch is also available there. 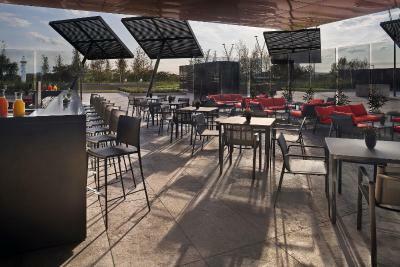 The Flow Bar is open daily from 07:00 to 24:00. - Lunch is available from Monday to Friday (except public holidays) from 12:00 to 14:30. Reservations are required. - Dinner is available from Monday to Saturday (except public holidays) from 18:00 to 22:00. Reservations are required. 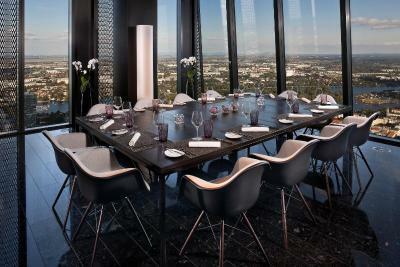 - Brunch is only available on Sundays from 12:00 to 15:00. Reservations are required. 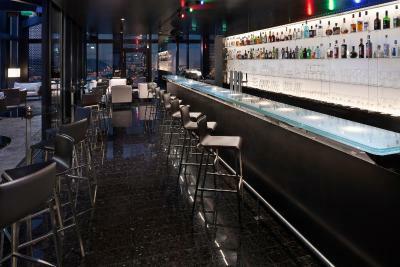 - The 57th Lounge cocktail bar is open from Monday to Sunday from 16:00 to 01:00 or 02:00 on Fridays and Saturdays. A DJ is available every Friday and Saturday from 21:00. 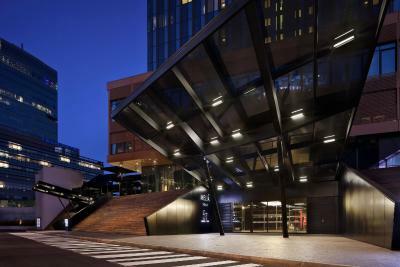 The GPS coordinates of the hotel are: N +48º 13' 55.76" / E +16º 24' 44.06". I wanted to have brekfast at hotel at one of the days I been there and they said I cannot be charged on my room , which it never happened to other 5 star hotels I have been . It not felt right and I decided not to have brekfast with them . I liked all especially level 57 . I asked for toothpaste 3 times and they didn’t come until one hour later. And the staff knocked my door at 9am in the morning while I was still sleeping! My only complaint is an odd one. For the first three days of our stay, the exact same song was on an infinite loop, playing in the common areas and Level Lounge. Literally, it simply played through and immediately restarted. Over and over again. I began to think that it must have been a health and safety violation for the poor hotel staff. And it made my wife and I want to poke our our ears after about the twentieth time we heard it. We will have it’s clubby best indelibly etched into our memories for a very long time. 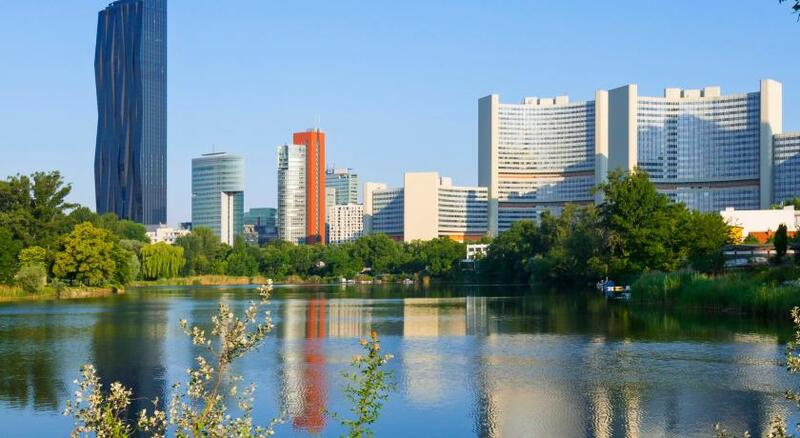 Some people may consider it to be too far away from some of the major attractions such as Schönbrunn or Belvedere, but there are metro links close by which make them easily accessible. 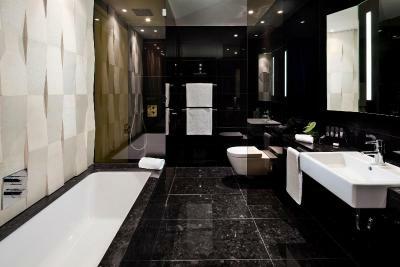 The hotel was spotless, the design was very photogenic and the rooms were clean and comfortable. Excellent value for money. 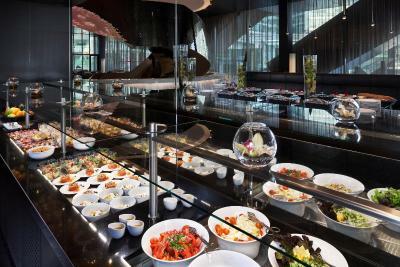 The breakfast spread was very varied and the staff were very helpful and spoke excellent English. 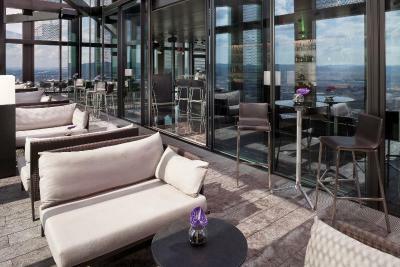 The bar on top of the hotel is an absolute must for all guests and provides astounding views of the surrounding city of Vienna. 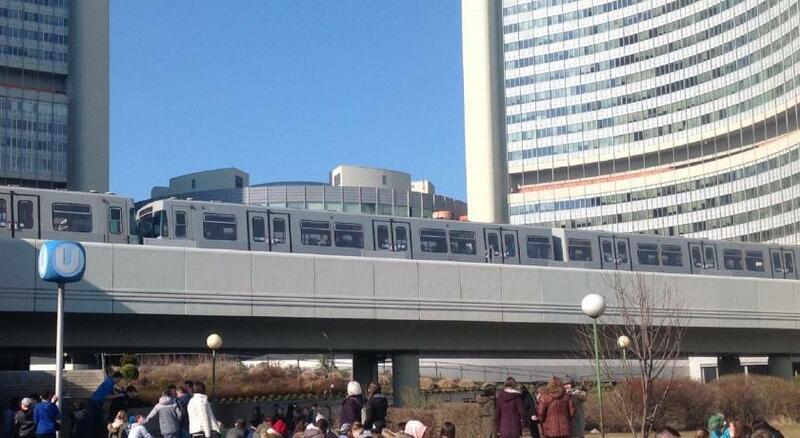 Close links to the u-bahn metro service that take you into central Vienna. Lovely hotel. The hotel has 5-stars but it did not feel like - the bathroom door did not close properly, one light was not working in the room, You could see the room walls had stains and all those small things that should not be. The building is creaking, so if You don’t sleep deep enough You can hear it. We saw every day dirty dishes, glasses, old flowers etc on our floor when we left the room. The view from the hotel room, friendly staff, location if You don’t want to stay in the city center (six stops by metro from the city center), the size of the room and the bed was okay. Partner says bed was a bit hard however I slept well! The pillows were the best I’ve slept on and the toiletries were very luxurious.